You know you're Pinoy when you've been snarkily given this warning by your mom or dad (most likely your mom): "don't waste food because God will get mad at you and a lot of kids don't have anything to eat!!! You're lucky because..."
So, you soldier through your third serving of sinigang plus rice that your mom gave you. Never mind that that morsels were literally threatening to come out of your nostrils. But you know what? Mom and Dad's right. A percentage of greenhouse gases comes from wasted food. When you're 8, God and starving kids are far better examples than the greenhouse effect. 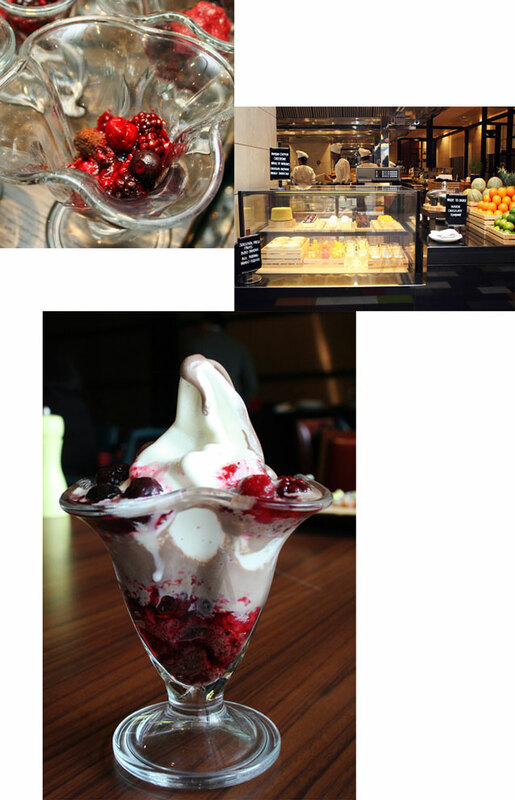 So, what does that have to do with Grand Hyatt Hotel's buffet (The Grand Kitchen)? 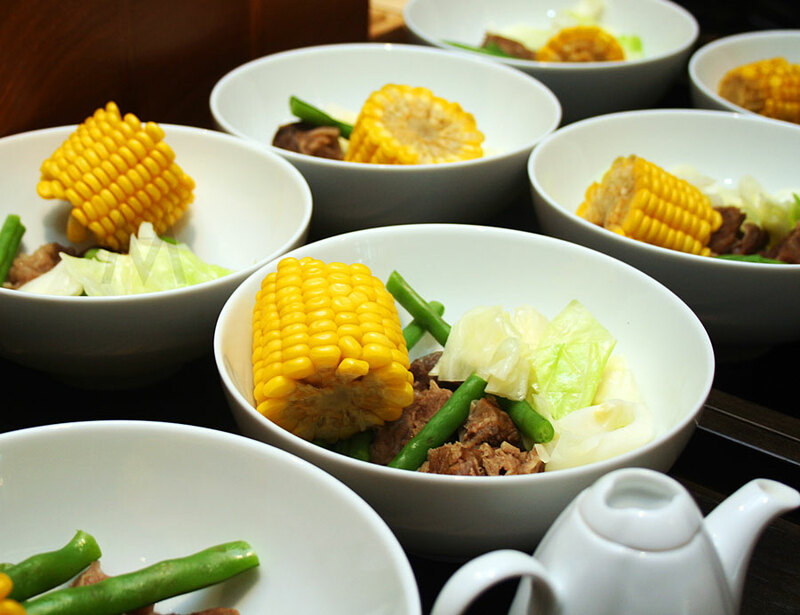 They're doing their share in putting an end to this global problem by creating a deliciously lean buffet that's eco-friendly. 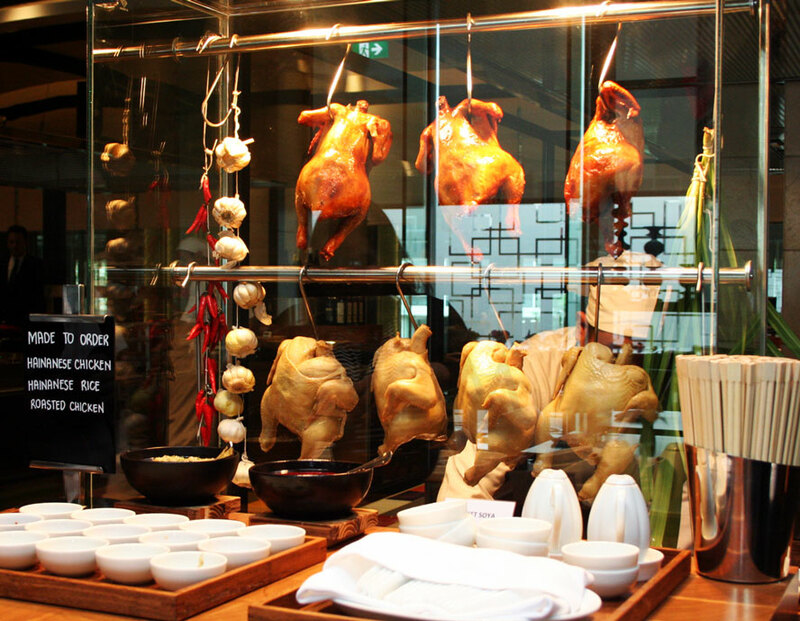 Majority of the food being showcased at Grand Hyatt Hotel's The Grand Kitchen are made à la minute; which means that the dish will only be cooked or prepared when you order it. 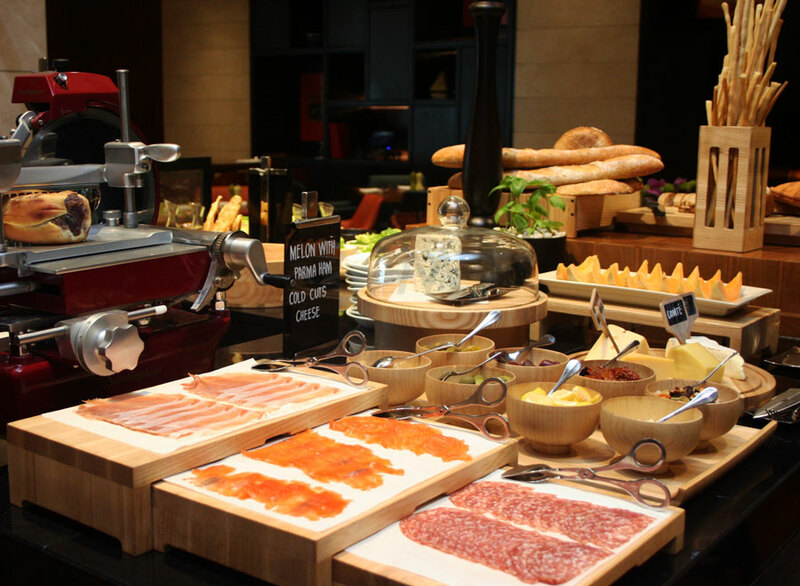 The different a la carte buffet stations enriches guests' experience by ensuring that they will get freshly cooked food every time. 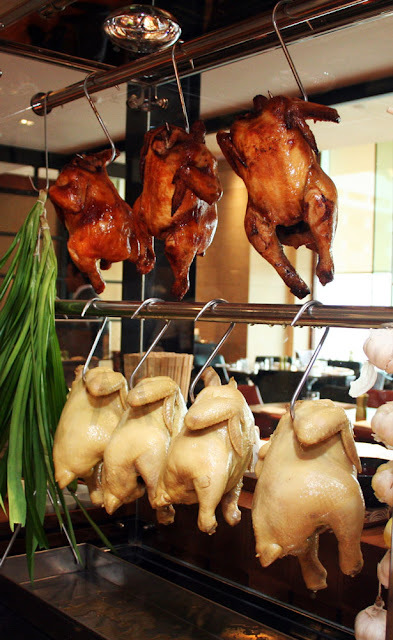 Let's face it, no matter how well-marinated it is, a dried up chicken yakitori that's been basking under the buffet heat lamp is a huge turn off. 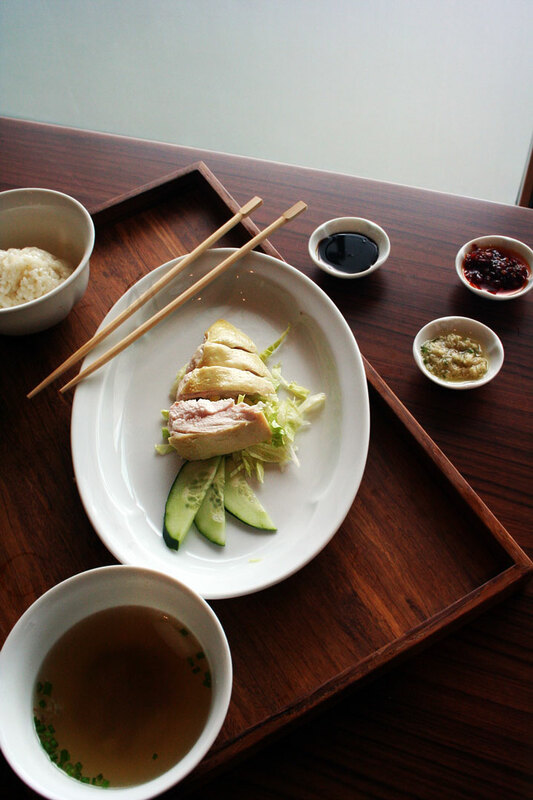 Now, why, why do I have three photos of Grand Hyatt Hotel's The Grand Kitchen's Hainanese Chicken Rice? Because it's one of the spread's strongest attractions. The trio of dipping sauces (ginger, chili, and sweet soy sauce) complements the tender, free-range yellow chicken. And thanks to good exfoliation, the skin came out perfectly smooth and silky. Never though I'd envy a dead bird, but here I am. Not a fan of steamed chicken? There are three roasted ones waiting to be devoured, too. Above is where I created a platter of my obsession. 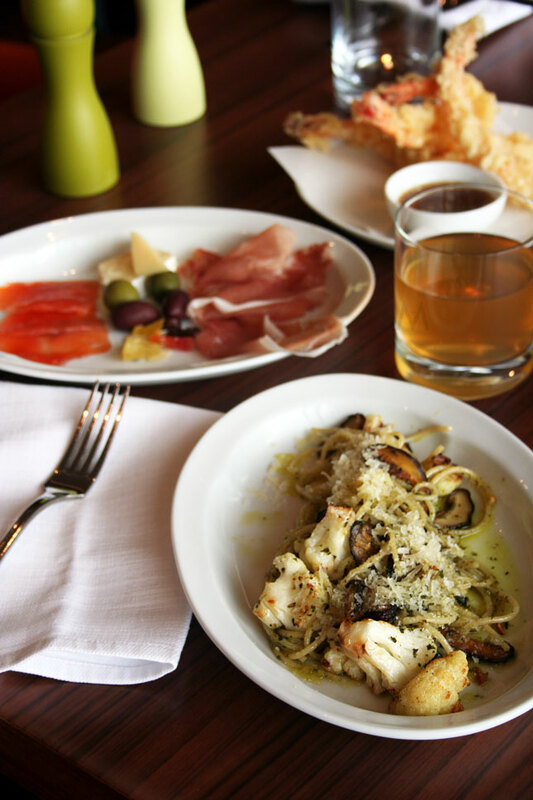 Who doesn't love a good antipasto? Cheese and cured meats are magical here. If you want to give those two some extra love, you can create your very own bruschetta. There's a variety of bread right beside the Antipasti Station. There are salads there, too. Freshly-tossed ones, that is. And yes, the greens are locally grown and organic. There are pre-cooked dishes per station as well. There's Spareribs with Taosi, Steamed Catch of the Day, Kung Pao Chicken, and Mapo Tofu at the Chinese Station. 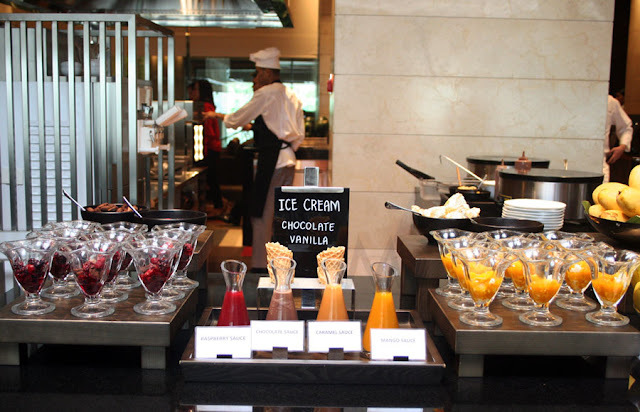 Unlike other buffets, The Grand Kitchen limits the viands to only a good few. 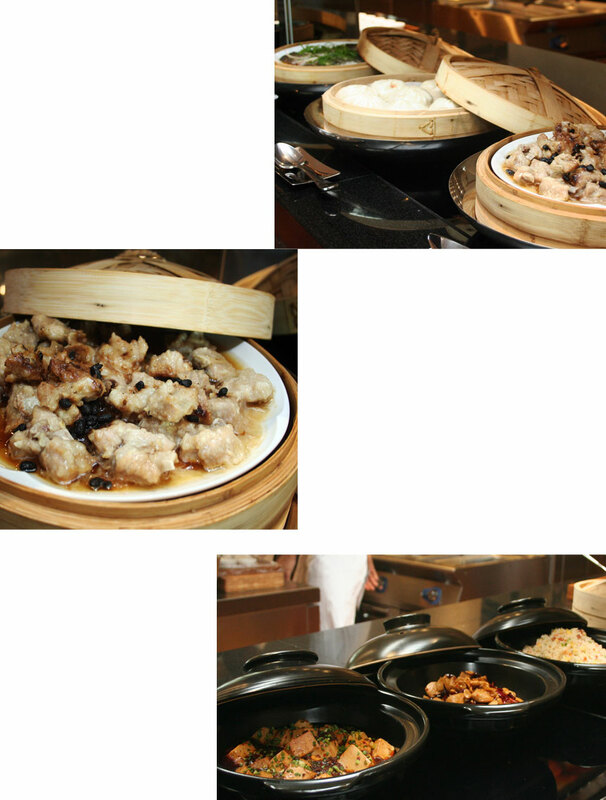 They rather focus on the quality of the dishes rather than simply giving guests who are hungry for aesthetics an eyeful. 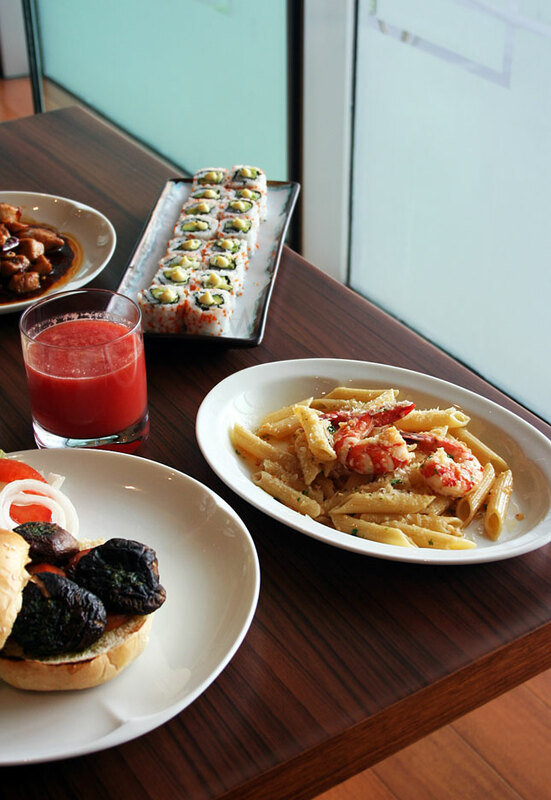 Grand Hyatt Hotel's The Grand Kitchen is spot-on when it comes to reducing food waste. But that's not the only reason why this buffet is eco-friendly. They're big on seafood sustainability. 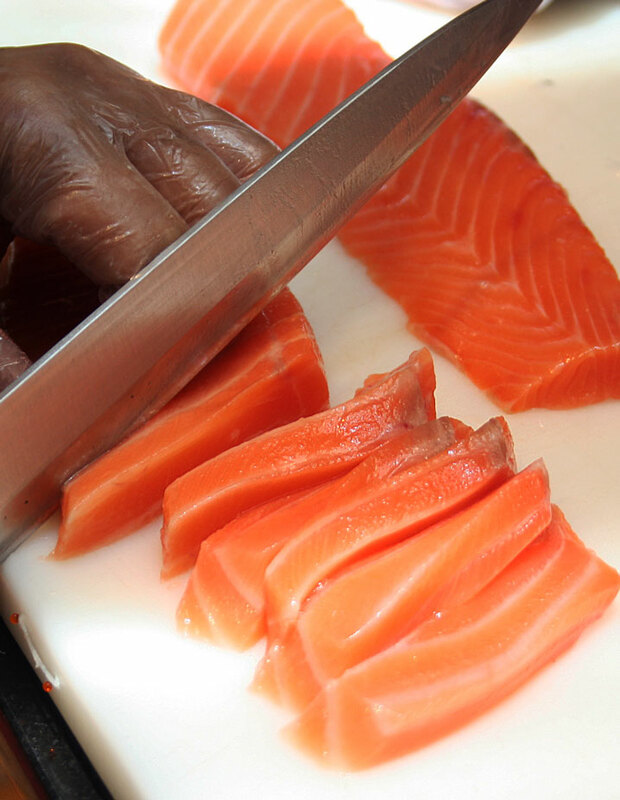 The salmon (damn, that's good salmon), for one, is provided by Meliomar - a purveyor of sustainable seafood in the country. In fact, the various types of seafood here are products of sustainable farming. By the way, the maki and nigiri are freshly prepared. You won't experience a stale sushi here - the ones that have been sitting on the station's table for far too long. Part of my round 1: Antipasti plate, vegetarian pasta with pesto sauce, and a couple of ebi tempura in the background. Everything was tasty! Yes, even the veggie pasta! Filipino hits are being highlighted at Grand Hyatt Hotel's The Grand Kitchen, too. One of my favorites is the Nilagang Baka. The beyond-your-everyday version of this beef soup is a must-try. The flavorful beef and broth makes it a standout. Each bowl comes with its own mini soup pot. That's not my veggie burger, by the way. It was my friend's (Yedylicious) burger. I want meat, glorious meat! The point I'm trying to make here is, at The Grand Kitchen, you can have the kind of burger your heart can take. You want an all-veggie one? Okay! Fancy a heart-stopping, meat-packed tower? That's fine, too. The chefs will be glad to do it for you. That's my delicious Shrimp Scampi, though. Each al dente penne is stained with buttery scampi sauce and topped with sauteed fresh shrimps. 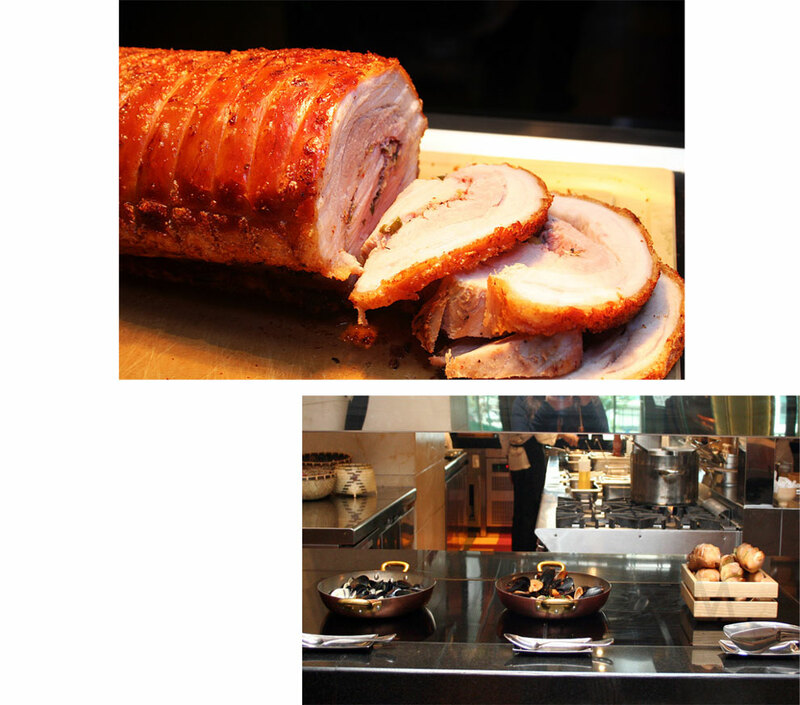 Above is the Roast Pork that every one in my group loved, including yours truly. Below is the Moules Marinières with a savory briny liquid that's perfect for dipping your bread into. 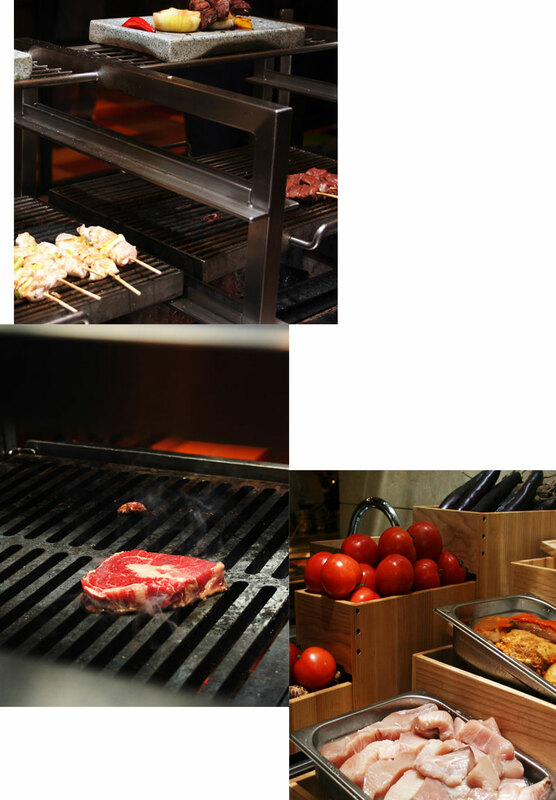 The Grilling Station is another part of the buffet that I really enjoyed! So, so, so much! They have steaks, different kinds of fish, chicken, and skewers. 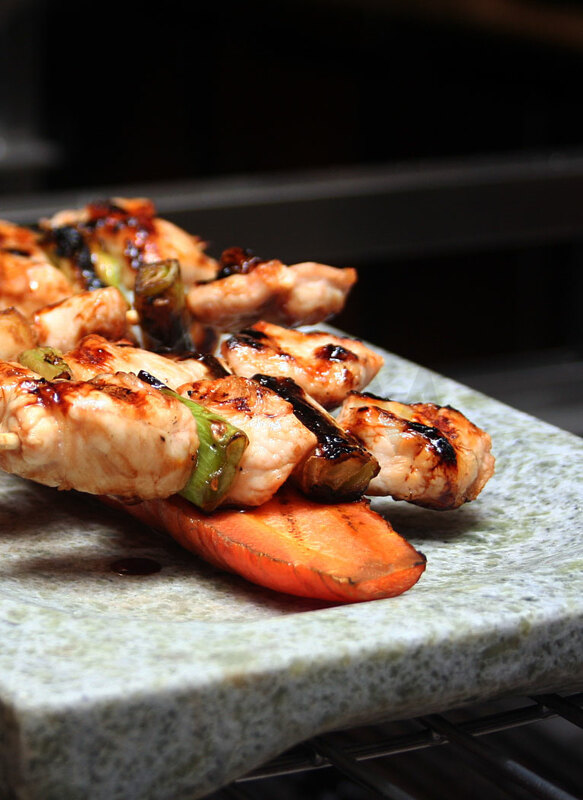 There are a few sticks of pre-cooked yakitori on display; just enough to show eager eaters what they have in store. By the way, you can have a burger patty grilled here and accessorize it however you like. Ah, desserts. Are you the type of person who's happy to skip an entrée for a good dessert? Neither am I. I want it all. The fruit parfaits were a big hit. Some went directly to the crepe station while others feasted on the different cakes. 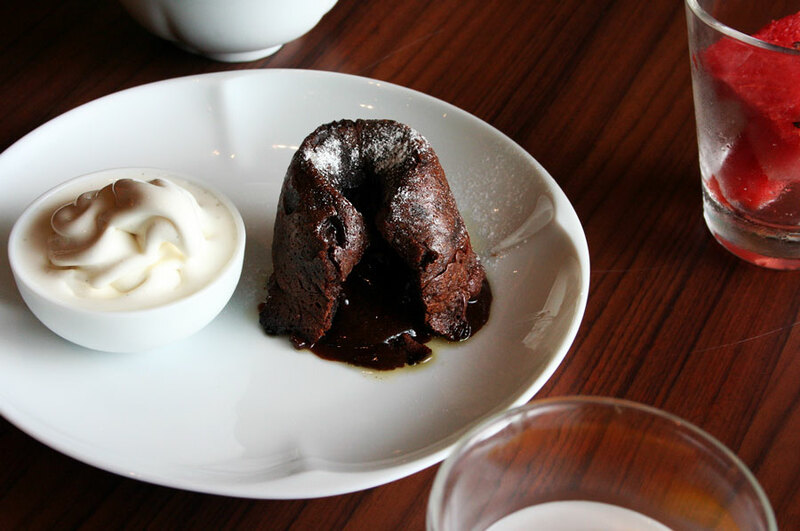 But the absolute must in the selection is the Chocolate Fondant. You have to wait a couple of minutes for this stunner to hit your taste buds though. The delicious molten center with slightly chewy exterior was a blissful indulgence.